When a team exploring frozen dead things in the Arctic stumbles across the fully-preserved body of a man, they embark on a scientific journey fraught with moral ambiguity, intrigue, and love. Having had varied levels of success reanimating dead bugs and such, the team figures that they might as well give it a go with the frozen man. Lo and behold, it works, and Jeremiah Rice breathes his first breath since his 1906 death. Jeremiah Rice was an esteemed judge who struggles in coming to terms with his current situation. I struggled to come to terms with why a judge from Massachusetts was on an Arctic expedition in the first place. 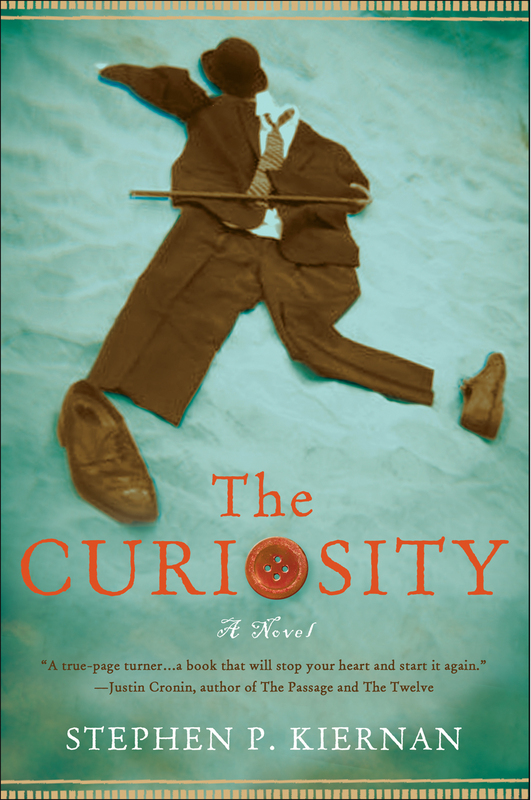 Regardless, The Curiosity is a captivating, if not entirely satisfying, read. It’s like Encino Man and “Flowers for Algernon” meetFrankenstein, but with a result that is far more impressive than that fusion should yield.Frankenstein is one of my favorite books, so obviously I am going to be critical of a work that draws so heavily on Shelley. That being said, Kiernan does so in a way that is flattering over offensive. For instance, one of my favorite aspects of Frankenstein is the vague description of the reanimation. Victor Frankenstein assures readers that he cannot reveal his technique out of fear that someone may try to replicate his experiment. 1800s science wasn’t any closer to resurrecting a dead guy than we are today, so Shelley expertly disguised this fact with her a warning and cautious Victor. Kiernan’s characters do offer some explanation of the process, but again, details are veiled in a way that leaves readers focused on the plot instead of skeptical of the science. The Curiosity additionally offers quite the commentary on today’s society, especially compared with that of Judge Rice. Specifically, Kiernan dwells on the idea of celebrity and the role of the press, the paparazzi, and so on. Rice is initially an internet sensation, which draws the attention of political figures and others who wish to feed off of his popularity. However, the press ultimately turns on the project itself as well as its subject; this is the typical progression of “curiosities” in the news, and Kiernan presents it accurately and sadly all at once. Some issues are left frustratingly unresolved (scientists working towards extending the judge’s life are abandoned by Kiernan in favor of a tragic ending). Kate Philo, the team’s lead, is never able to consummate her love for Jeremiah, which seemed flaky from the start anyway. Nevertheless, for a debut novel, this is really good stuff. There is no doubt that if a frozen guy was found today, someone would try to resurrect him, clone him, or just exploit him in general. Most of the public, myself included, would watch the whole thing with baited breath, but Kiernan spins his tale in such a way that the reader is left feeling culpable, something that might not happen in real life. For the entirety of the novel, I wanted to see this guy brought back. I wanted to see how he would interact with those around him, and how he would react to technology. Readers are just as responsible for Jeremiah’s fate as are the press and public of Kiernan’s novel. The blame is placed on us. That’s a pretty nifty trick.